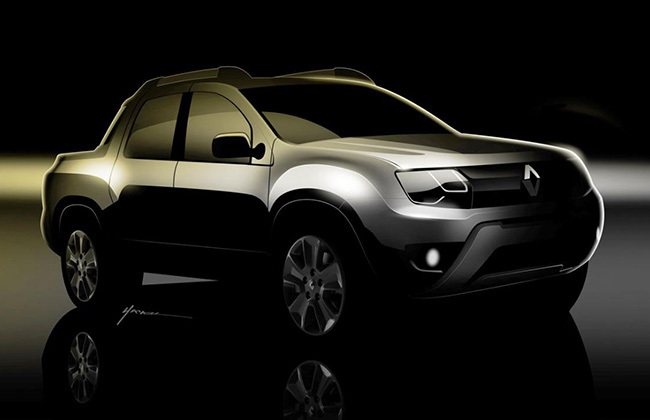 News is that Pickup version of Renault Duster might be launched at Buenos Aires Motor Show in Argentina on June 18. Renault has tagged this vehicle as “Sports Utility Pickup” and it barrows all the good attributes of Duster and shall come with new add-ons. The vehicle is expected to come with a fresh face and graceful interiors. Before the autoshow, there are certain teasers which are out which reveals how the car might look like. The teaser reveals new front-face, dual-projector like headlamp, a new bumper with skid plate. The car could also feature a new grille which is entirely different from the existing Duster and a new rear LED tail light cluster and bumper. Apart from this, the cockpit is expected to change drastically over the current Duster and rumours reveal Renault might offer 2 more seats as an option in the place of boot in current car. 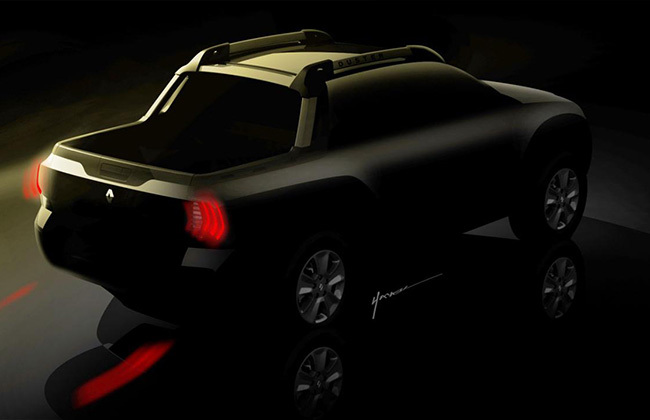 Speaking of Duster pickup, it is expected to be named as Oroch (weird though), same as it was given to the Concept car when it was showcased back in October 2014. It will be a dual cab pickup with the same seating capacity of 5 passengers. Considering the fact that a fair number of Argentine people prefer pickups over normal SUV, Oroch could work out well out there. After all, it will be offered in the same price tag as that of Duster. The new pickup variant of Duster is expected to be named as Orach – same name was used for a concept car which was showcased in October 2014. The dual cab pickup would have same seating capacity of 5 passengers. In Argentina a good number of people prefer pickups over normal Sports Utility Vehicle(SUVs). The new Orach shall work out well in these conditions shall come with same price tag as that of Renault Duster.